What is included in this ticket? Two exciting days of PLANNER FUN smack bang in the middle of Brussels! With: amazing vendors, wonderful speakers, fabulous sponsors, interesting workshops, a big goodie bag (awesome reusable bag included! ), tons of new friends and lots of inspiration! Entry to ALL TALKS AND ALL WORKSHOPS is obviously included. No need to sign up beforehand, yay! Not included: glitter or confetti. No really, we are not joking planner people. No glitter or confetti allowed in the venue. Like for real. Think of the poor venue who needed to clean up after us last year………….. Tickets will be on sale until the event has sold out or till the 1st of May, whichever comes sooner. These tickets are non-refundable (following European law on tickets for events) but are transferable until the 1st of April, 2019. Please see terms and conditions when purchasing your ticket for more information. As we sold out of hundreds (!) of super early bird tickets within 2,5 days, do not hesitate too long, as tickets may go fast! 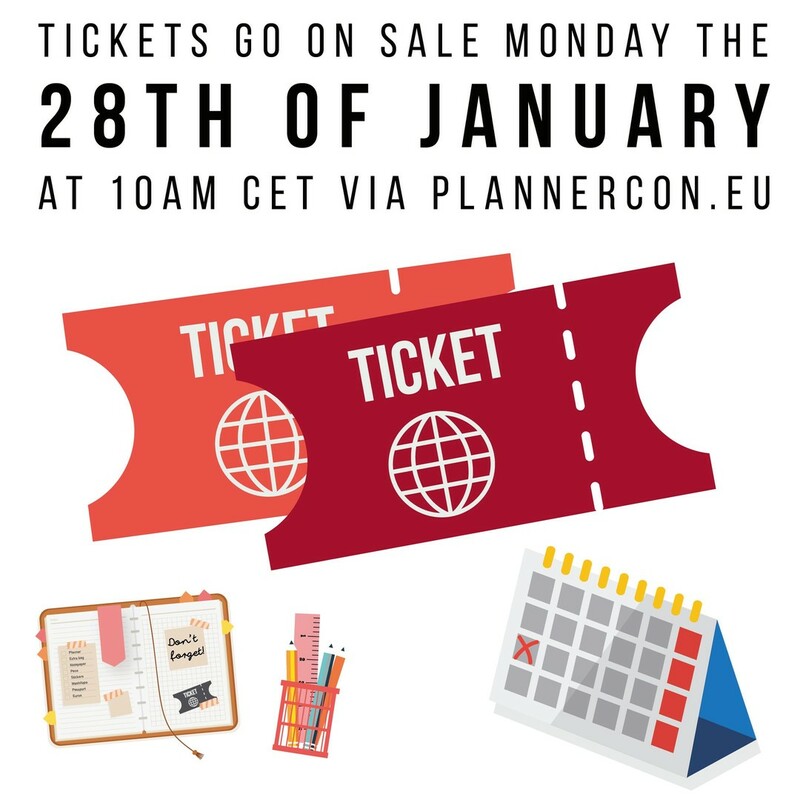 Curious to know what happens at PlannerCon Europe? See our instagram feed down below and our hashtags #plannerconeurope #pce2017#plannerconeu for a glimpse in our super cool 2017 edition! For now, mark your planners and set your alarm! Keynote speakers (YES PLURAL) will be revealed before tickets go on sale YAY!